Drunk people are annoying. That shouldn’t surprise anyone, including most drunk people. Just how annoying they are, though, can be fairly shocking. 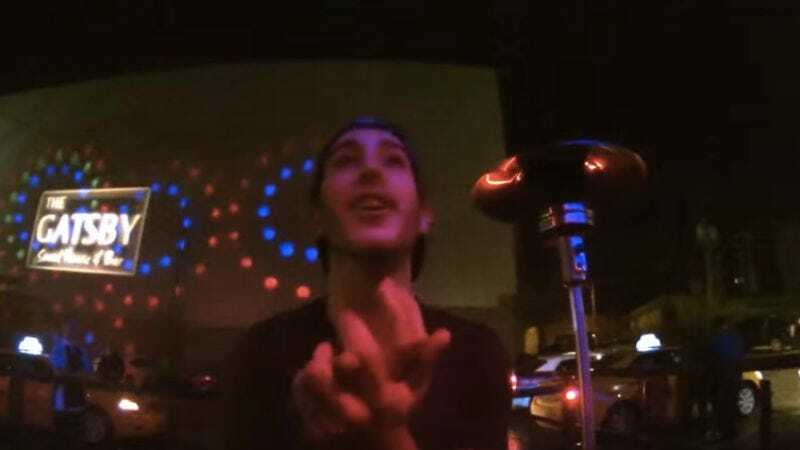 That’s the gist of a new video from a Canadian bouncer who strapped a GoPro to his chest last New Year’s Eve. In the 9-minute clip, London, Ontario bouncer Peter Williams faces down all sorts of bald faced lies, less than sneaky drunkos, and belligerent knuckleheads who just want to fight despite that they’ve neither been wronged nor have a chance in hell at actually winning. The actions in the clip are both hilarious and cringe-inducing, particularly if you’ve ever been one of these people yourselves, and should serve as a fairly solid incentive for anyone who’s taken on one of those “sober January” pledges so popular this time of year.